Did You Know Forklifts Operate On Any Terrain? The truth is that choosing the right forklift depends on various aspects, rather than just finding the model with the right weight capacity. 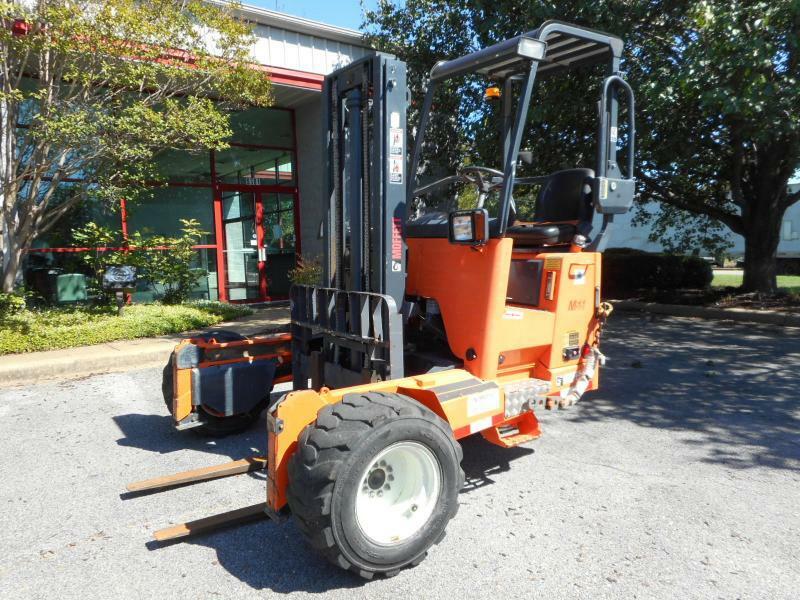 Operators and potential buyers of used forklifts for sale have to consider the terrain in which they plan to use their machine. Operating a forklift is something that requires attention to details like where you plan to operate it. Keep in mind that the terrain determines the longevity of the machine, and if you as the operator ignore proper care, it can cause a number of problems that invite expensive repairs. As you read on below, we would like to explain different kinds of forklifts, how each one operates, depending on the terrain. Majority of the forklifts are ideal to use indoors or even across various smooth surfaces such as concrete or even tightly packed dirt terrains. Know that regular or standard forklifts operate by electric motors and they run on wheels with smaller diameters, whereas they are stable models when they carry loads across different flat surfaces. They do not come with sufficient counterweights or power to navigate uphill on rough or gravel roads. Note that even though you are an experienced operator, with this type of a forklift, you will not be able to navigate through rough terrains, and you should never ever try it. Note that rough terrain forklifts are available widely. It is easier to tell the actual difference between regular and rough terrain machines. The very first thing to note is that the tires on rough lifts generally appear larger and they feature deeper treads. This feature allows the forklifts to pass over gravels and it keeps them steady even when they traverse on hills. Majority of the forklifts available today feature combustion engines, similar to those on trucks or cars. This helps to provide them with additional power needed to move heavy loads through different variable conditions. Although most terrain forklifts are suitable for use through loose dirt and mud, there is a risk that they will tip over if they are not in proper use. Before using a forklift in an outdoor setup, all operators, as well as site managers, need to make sure the route of the forklift is clear of obstructions. The ground has to be solid to support the forklift weight and the load. Keep in mind that not all the forklifts for rough terrains come with the same features. Before you consider investing in one, you can talk to our experts at Moffett Truck to know where the forklift comes from, as well as its condition, and whether it is suitable to operate on rough terrains. If you wish to protect your equipment and employees, then training programs are important for you. Such programs allow new operators to get a grip on how to operate their equipment safely in different environments with experienced guidance. Managers can then find when the operators use their equipment properly with less need for repairs and maintenance costs. Finding the right forklift for your business or warehouse needs is not difficult, simply get in touch with us today, or explore our online inventory. Compare the features and specs of forklifts and we can further guide you in making a well-informed choice.